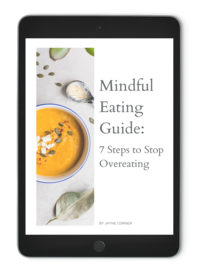 This FREE guide is the perfect tool to help you take back control, loose weight and start eating more mindfully. I’m a clinical hypnotherapist, health coach and wellbeing expert with a mission to restore your health and happiness from the inside out. Obsessed with green tea and dark chocolate, I’m here to help you get your weight, energy and health back on track. Wholesome nutritious recipes to support your health. Transform your life with new habits and thinking. Keep your cool with my best advice to managing your stress. Clean up your diet and your home with these top tips. It's time to get your body moving and blood pumping! A common theme I come across in my coaching work is a lack of motivation to either get started on a project, or to stay on track once you’ve started it. Whether this is a new exercise regime, meditation practice or a change in diet and lifestyle. Motivation drives us to not only start a new way of living, but also helps us to overcome the obstacles and barriers which inevitably get in the way. You could almost describe your motivation as the ‘fire in your belly’, igniting you into action and the fuel you need when the going gets tough. YOU HAVE A DREAM, BUT YOU JUST CAN’T GET GOING? We all have dreams of what we want and how we want our lives to look, but to make them real we need to take action. Just wishing or dreaming about losing weight, getting a new job, or learning a new skill isn’t going to get you very far. You need to get up off the couch and start. And actually starting something can be hard. Are you a ‘I’ll start tomorrow’ type of person? 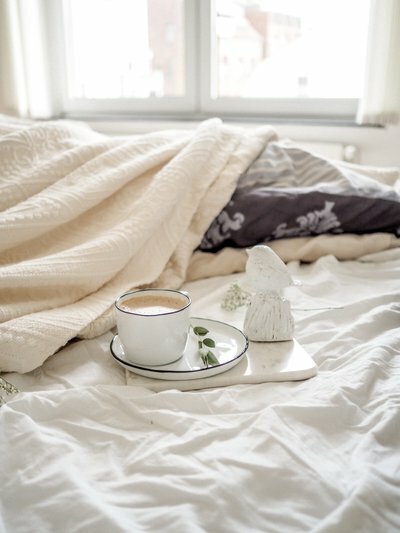 You go to bed with so much drive and motivation, but when morning comes it all just seems too hard…? Or perhaps you start with utmost determination from day one, but by day six you’re just, well, over it…?! How do you find your motivation when things appear ‘hard’ or when the obstacles in front of you seem too high to climb up over? When you’re feeling stuck, how do you move forward? Values are what we consider important in life. Your values shape your beliefs and in turn your actions. In essence, they are like your ‘guiding stars’ through life. Over time your values can shift, but largely they remain unchanged for many years. If you align your goals with your values, you’re not only working towards what important to you, you are also working towards why it’s important to you. Values can be anything from family and friends, to connection, to love and belonging, to strength, to growth and creativity. If one of your values is strength then you may be guided subconsciously (or consciously) to seek out ways to be ‘strong’ and surround yourself with people who also demonstrate this value. If one of your values is independence, then you may not be someone who works well in a team, and may even seek out self-employment and ways that you can shine your own light. In exercise, solo activities such as running and swimming may feel far more motivating and fun vs joining a group exercise class. If you’re someone who values spirituality and nature, then you may find that when starting a new lifestyle change, the elements of yoga, crystals and herbal supplements may feel far more aligned and motivating for you to stick to. 2. FIGURE OUT IF YOU ARE YOU DOING WHAT YOU WANT TO DO, OR WHAT YOU THINK YOU ‘SHOULD’ DO? When setting a goal, it’s important to get clear about whether this is something you actually want to do. That sounds simple enough, but it’s crazy how many of us own the external pressure (real or imagined) from those around us. Is this something that feels good inside to work towards? Does the change excite you in some way? Or, is this goal or task something you’re doing because you think you ‘should’ be doing it. If this is a ‘should’, ask yourself who are you trying to please? Where is the pressure coming from? Is this pressure real or imagined? It’s important to tune into your why before you start any life change. Ask yourself who you are trying to please in the process of changing? If weight loss is a goal of yours and you’re losing weight to make someone else happy, then chances are you’re staying power may be limited. But if you’re looking to drop those excess kilo’s, and you’re motivated by your own internal drives and goals (better health, being able to run around with your children, increased energy and confidence), then it’s likely you’ll succeed. Which brings me to the third powerful way to gain and remain motivated. When times are tough or when it’s raining outside and you just can’t be bothered to buy fresh groceries or go for that walk (we’ve all been there…), remember why you started. What was your vision? What were your reasons for starting your journey? Often, the day to day struggles can be overcome by simply remembering the ultimate destination. Whether your journey is to greater health and adding years to your life, falling pregnant and starting a family, getting rid of illness and regaining your energy, or slowing down and feeling an inner peace from managing your stress. Reminding yourself of the bigger picture is a powerful motivator. At home, I have a vision board on my wall which I update every 12 months at the beginning of the new year. When I feel challenged or I’m faced with an obstacle, I go and stand in front of my vision and remember what is on the other side of that challenge. Life is not always easy, in fact I believe that the ups and downs are essential to our growth and learning. When we experience tension (in whatever form), we have the opportunity to grow stronger.